My husband and I were engaged the end of March and the first thing we did was contact Danny Kramer! Dancing has always been important in my family and a good band just makes a wedding that much more ... Read more more fun! We were so excited when he said they were available for our Friday wedding this past July! Planning any event is stressful, but we knew that as far as the band was concerned, we had nothing to worry about. Danny was incredibly gracious, thoughtful, professional, patient, accommodating, and an absolute pleasure to work with. Over the last several years, I’ve been to two weddings that the Danny Kramer band performed at. Both times the dance floor was packed all night and we didn’t want them to stop! I can honestly say, they did it again! We danced until our feet hurt and sang along until we lost our voices! Thank you for being part of our wedding day, we loved having you!! Choosing music is never an easy task, but we were thrilled to have chosen Danny Kramer to play at our wedding. We had toyed around with the idea of a DJ versus a band and eventually settled on a band ... Read more band because we wanted to make sure our party had a great atmosphere. The Danny Kramer band came with great reviews which they more than lived up to. The band read the room well and played the right songs for the right time of night. The classic stuff got the older generation out dancing after dinner before making way for newer hits which kept the party going until close. 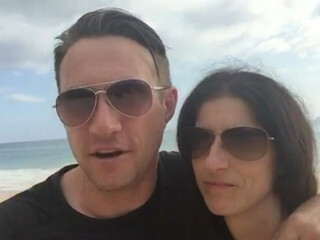 There were more than fifty people chanting “Danny! Danny!” when the lights came on, trying to get just one more song. All of this made for a great party which will live on in memory. On the business end of things, Danny Kramer is a consummate professional. There were no issues at all and services offered by the band were clearly outlined in the contract. They offer a wide variety of band size and services to fit your wedding’s needs. We don’t have anything but good things to say about the Danny Kramer Band. We would highly recommend the Danny Kramer Dance Band. 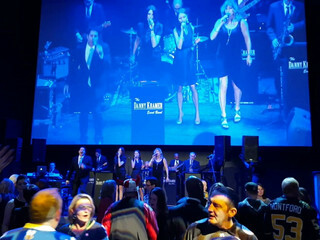 We hired the 10 piece band and they created a unique experience for all guests. They had the dance floor packed the entire evening! The music ... Read more they played was a wide range that appealed to all ages of people in attendance. They were interactive, energetic and their sound was amazing. I even got up on stage and sang along with them. 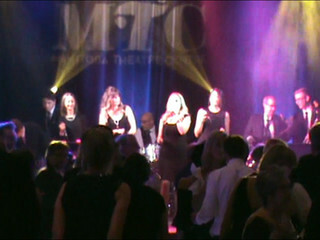 We've received MANY compliments on how fabulous they were and how neat it was to have a live band instead of a DJ. They allow you to customize the number of performers to your budget and add in other items like lighting to set the mood. They were worth every cent and we would love to attend another function with them performing! One of the best decisions we made was to have a live band. Danny Kramer and his band made our evening so memorable. Our guests had a super time! Danny was fabulous to deal with and made sure they ... Read more performed songs that were specifically requested. He even got our kids and grandkids up singing with the band. 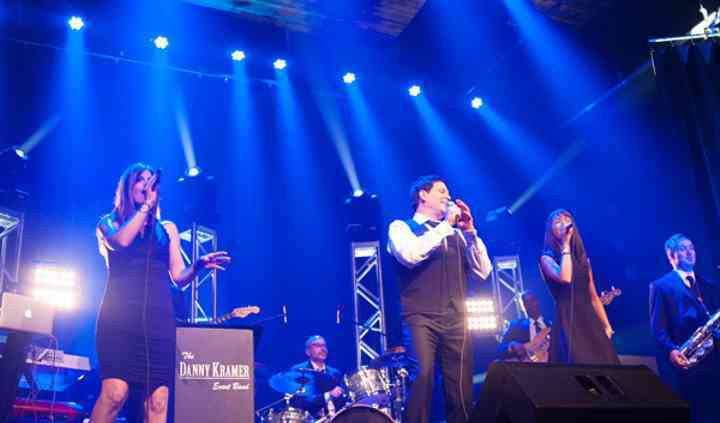 If you are considering a live band for your wedding, head straight for the Danny Kramer Band. Our main goal for our wedding was to have our guests dancing with us all night long and that's exactly ... Read more what we got! Immediately after our dinner the dance floor was packed and stayed that way the entire evening. 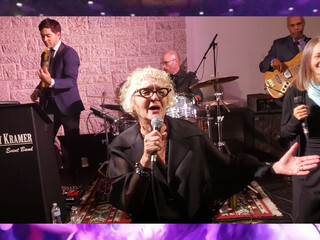 We had an overwhelmingly positive response to the band, most guests told us it was the most fun wedding the had ever been to and that was in large part to the music. Danny is extremely accommodating - his band size can change to fit your desire and budget. We had a 10 piece band and each musician was both professional and talented. They have a huge repertoire so choosing your music style and songs is completely up to you. Experienced, friendly, professional, energetic and sound incredible - worth every penny! As a drummer they encouraged me to come up on stage and play a few songs as well. This is a memory I will never forget. 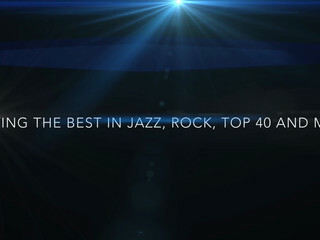 The Danny Kramer Band should be your #1 choice when looking for a wedding band!